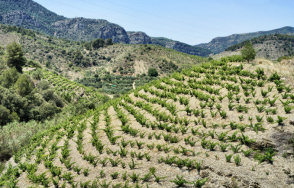 The Priorat is unique, a territory marked by slate soils with an irregular topography of very steep hillsides (costers) and terraces. A demanding and extreme climate forces grapevine roots deep into the soil in search of water and nutrients. Added to this is a stunning landscape that maintains the same rural environment of ages past, still in harmony with the rhythm set by nature. Inhabited since ancient times, the region has passed through the course of history changing ever so slowly. Clearly it has a firm desire to exist far from that world where life is fast and change is rapid. 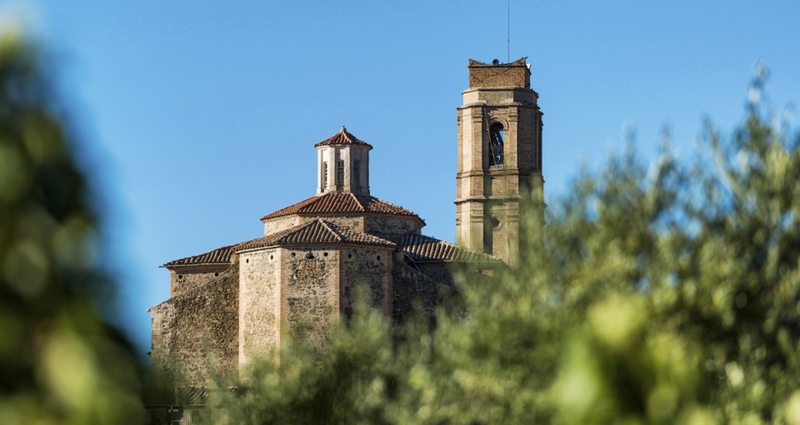 The winegrowing region is comprised mostly of the surrounding territory that was part of the old priory of Scala Dei, built in the twelfth century by the Carthusian monks at the foot of the Sierra del Montsant. 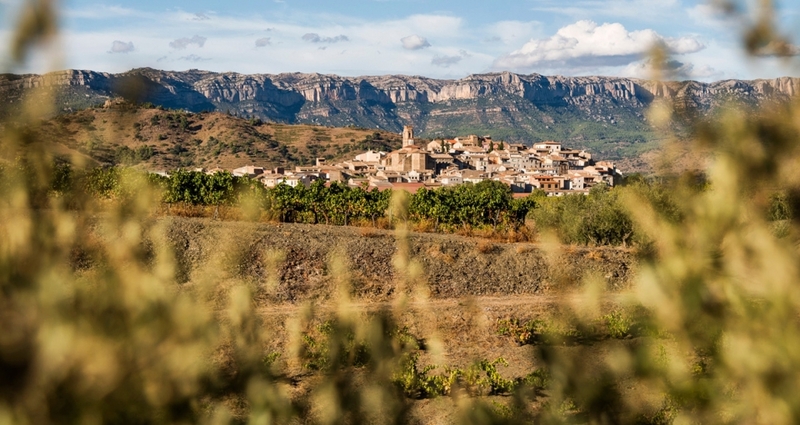 Contained within are several municipalities in the province of Tarragona: La Morera de Montsant, Poboleda, Torroja, Porrer Bellmunt del Priorat, The Lloar, Gratallops, Vilella Baixa, Vilella Alta, Scala Dei and part of Falset and Molar. 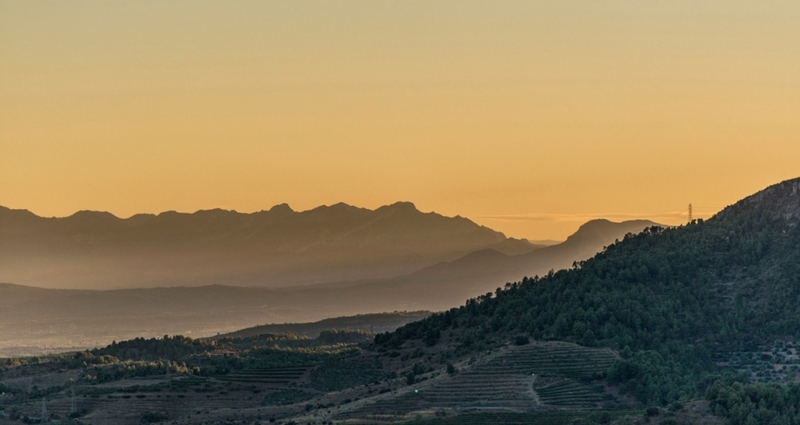 The viticultural growing area ranges from randomly planted valleys on the slopes of the Sierra del Montsant along with traditional Mediterranean crops such as hazelnuts, almonds and olives and flora (like thyme and rosemary). The Siurana river and its tributaries irrigate the area and vineyards are found at altitudes ranging from 200m up to 800m above sea level. Vine yields are extremely low ranging from less than one kilogram to three kilograms per vine! 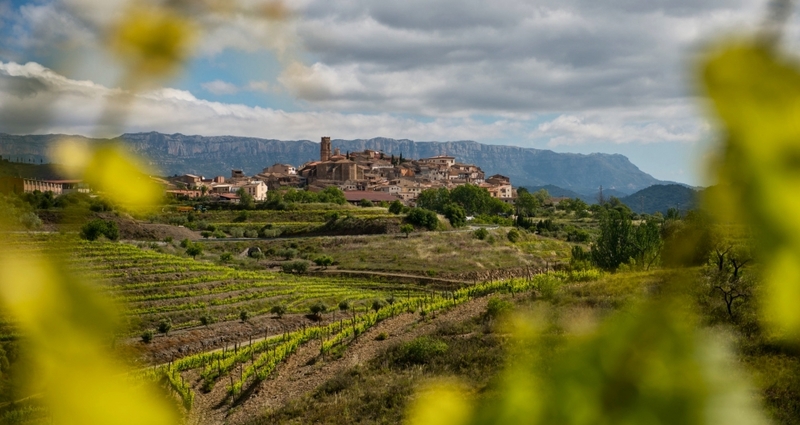 The Priorat climate is temperate Mediterranean with marine influence and dry winds from northwest. The average temperature is 15° C but the summers are long and hot and oscillate between 35° C during the day and 15° C during the night which favor good cultivation of the vine. In winter, temperatures can drop to 0° C. The average annual rainfall is 450-600 mm (17-23 inches) and average annual sunshine is 2,700 hours. 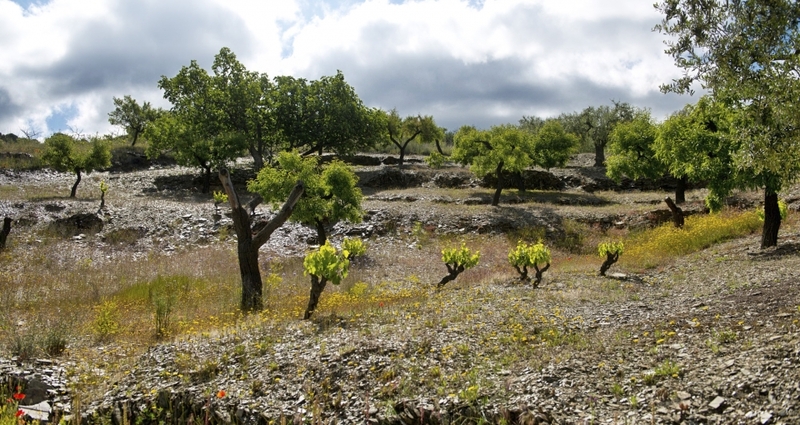 Priorat has a soil type very rare in the Iberian Peninsula. It is a type of slate from the Carboniferous period occupying much of the center of the region. 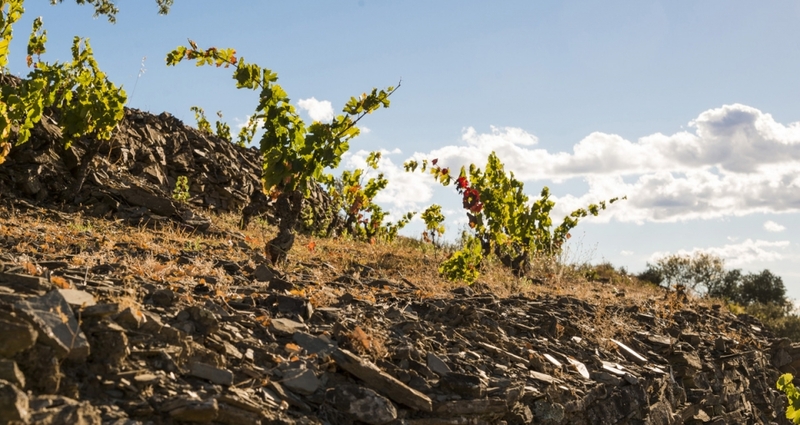 Although different slates from around the world can vary in color and consistency, that found in Priorat is a very distinctive dark gray, brittle metamorphic rock that flakes into smooth, flat sheets. 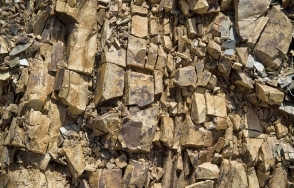 It is created when shales and clays are altered by low-grade regional metamorphism at low temperatures and moderate pressures (over hundreds of millions of years). Here it is known as llicorella or llecorell. This word comes from the Celtic Likka, meaning stone, but its origin is linked to the expression “llécol” used to indicate mood, taste, pastiness, and “earthy” notes. When applied to wines the “earthiness imparted” takes on a true significance. Slate, despite its hard appearance, is ultimately a fragile stone, formed by thin sheets that are separated with relative ease. The grapevine’s roots are forced to push with great effort to steer through this stony subsurface in search of the vital nutrients and water so essential in the production of great fruit. The makeup and flat shape of the dark stone dark also seems to favor some reflection of strong sunlight and offers some protection to the vineyard by reducing evaporation. 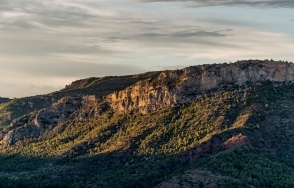 The Montsant is a symbol for the Priorat and Tarragona area. It is not the highest mountain nor the most extensive, however, the power of its orography is unquestionable. This is a massif with most of its perimeter walled in by summits and rocks of Oligocene conglomerates, and all villages are located at its foot. 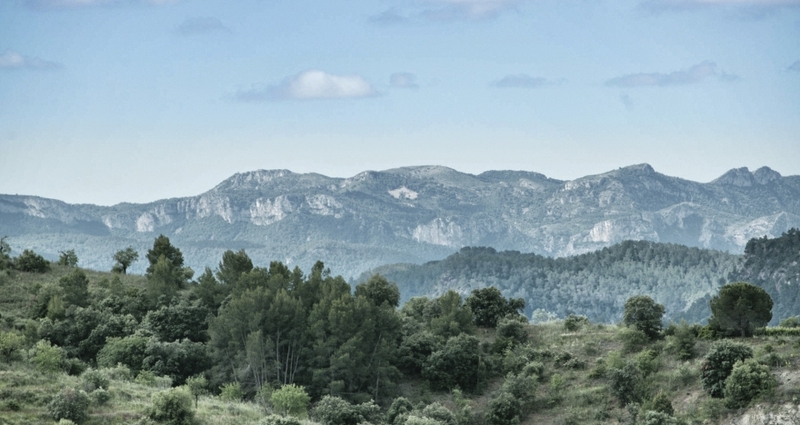 The spiritual relationship that humans have had with the Montsant for centuries has been granted a special status. The founding of the first monastery of the Iberian Peninsula, Scala Dei, an intense eremitical tradition that has lasted to the present, are proof of the deep symbolic value of the mountain. The year 2002 was declared a Natural Park by the Generalitat of Catalonia.